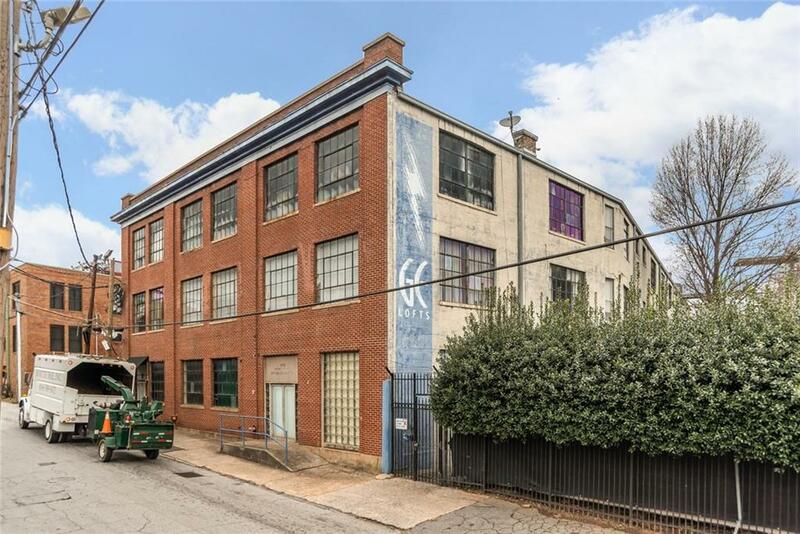 True loft in Castleberry Hills. Concrete floors in main area and bathroom, Exposed brick, berber carpet in separate bedroom.Exposed beams, ceiling fans, light and bright, laundry in unit. Assigned parking in gated area. Roof top with amazing skyline views, swimming pool, deck, private dog run in the common area of the building. To visit roof top go to the end of the hall make a right to the outside up for roof top down for pool and and deck area. Directions: From Midtown Peachtree To R On Marietta To L On Centennial Turns Into Walker L On Haynes ( Across From No Mas) To Visitors Parking N On Haynes R On Walker R Nelson R On Magnum R In First Alley Park Next To The Bldg.